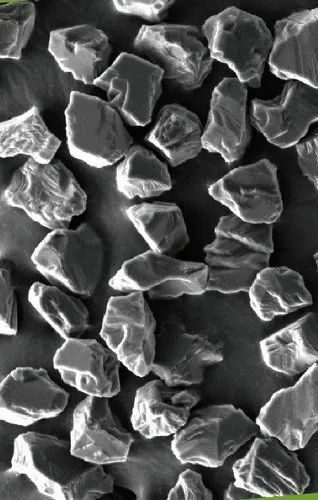 We are the pioneer firm, we offer Micron Diamond Powder to our clients. We offer the best quality product to our clients in compliance to set industrial norms. Our quality experts make sure that the product is manufactured and made using best quality material so as to meet the competition in the market. Our price range is affordable as well so that we can make our clients satisfied. Established in the year 2004, we, "G.D.M Diamond Tools", are one of the renowned manufacturer and supplier of an extended collection of Bruting Wheels & Synthetic Powder. Our product assemblage comprises of Synthetic Powder, Resin Bond Powder and RVD Green Powder. Our offered products are manufactured by using supreme quality components that are sourced from the authentic vendors of the market. Moreover, we are offering these products in various types to choose from and available in many packaging options. Besides this, we make sure that all our deals are policies are made keeping in mind the convenience of our clients. We are supported by ultra-modern infrastructure unit that is set up with modern technology. To manage and handle each department efficiently, we have recruited a team of skilled and qualified professionals. Our professional team is expert in handling of the innovative techniques as per client requirements. We believe in total customer satisfaction and our main objective is to offer only high quality products to our clients which are cost effective and meet the maximum expectations of customers.